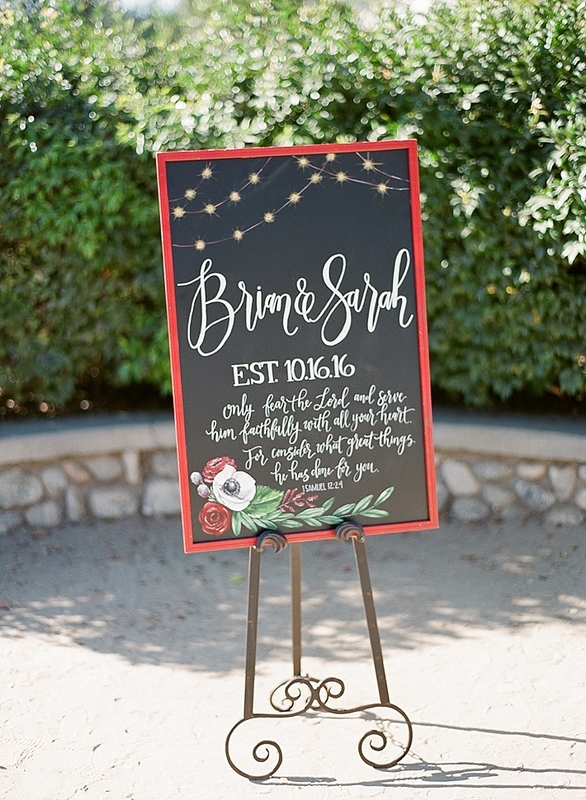 "During Sarah and Brian's engagement session, we could already tell that their wedding would one of our favorites of the year. 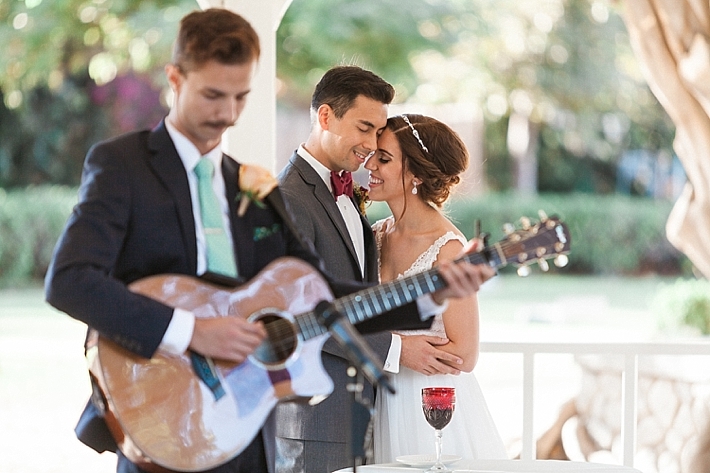 They are so relaxed together and their interactions so easy, like together is the way they have always been, with plenty of laughter to go along. 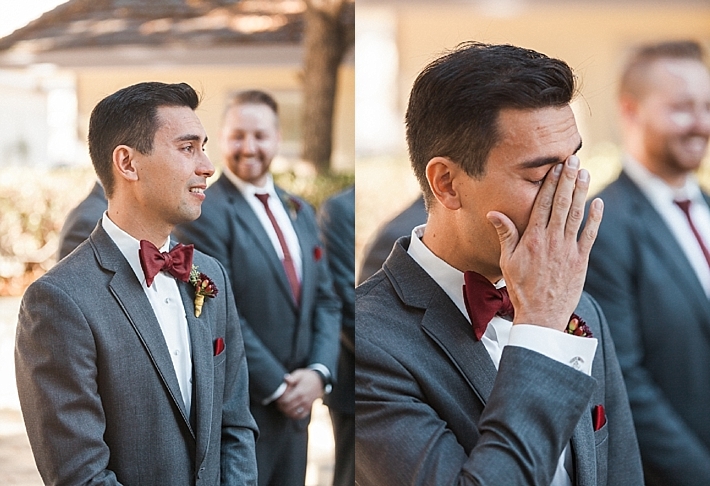 And that is exactly how their wedding day felt, like it was all meant to be. 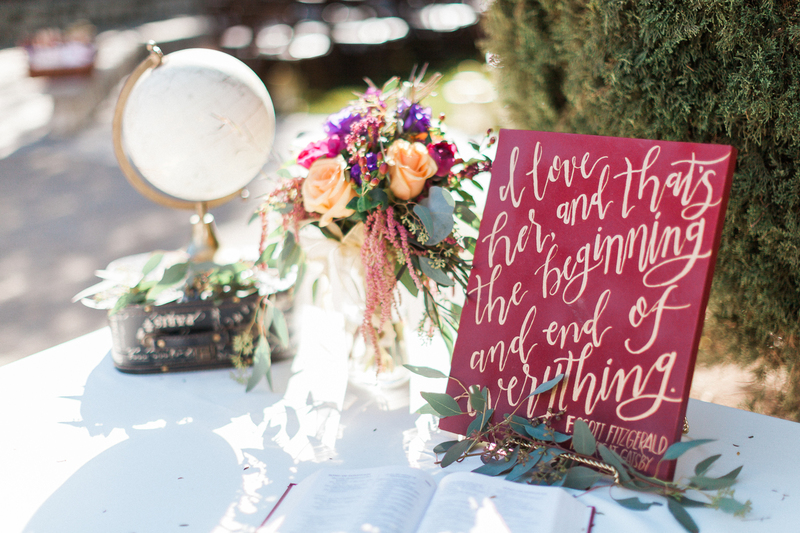 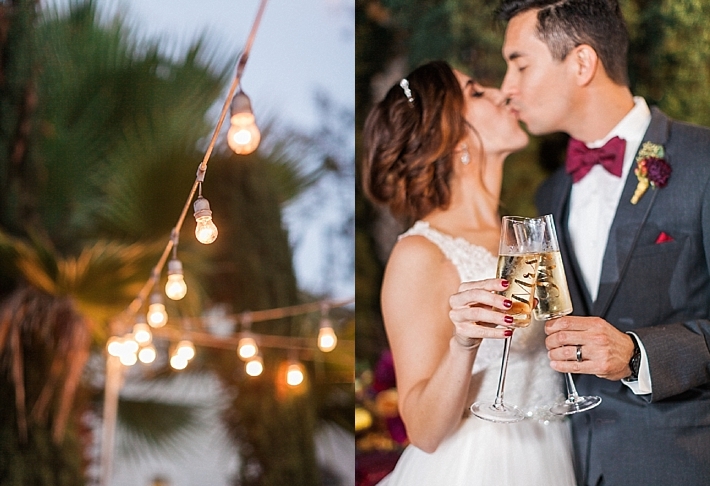 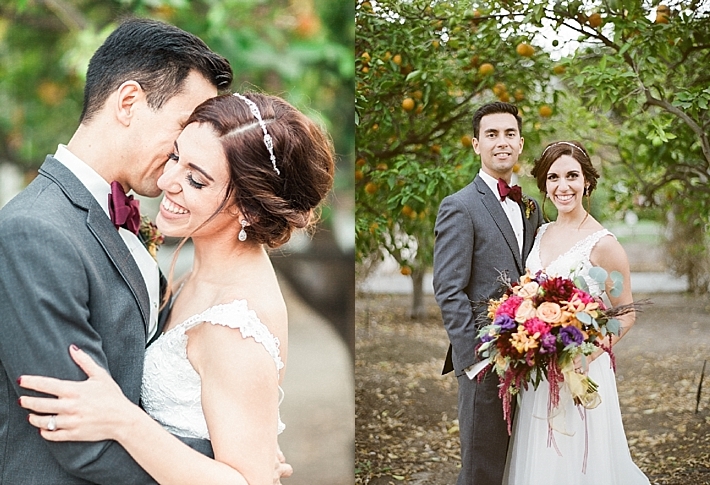 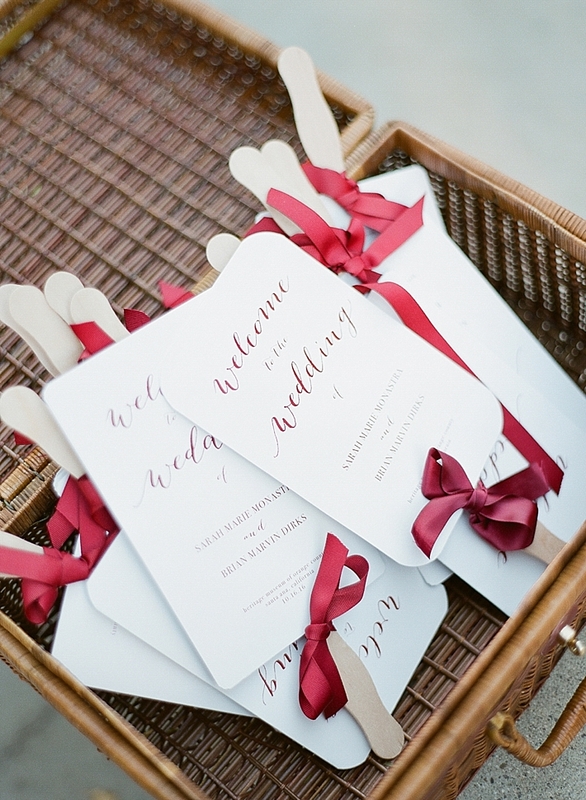 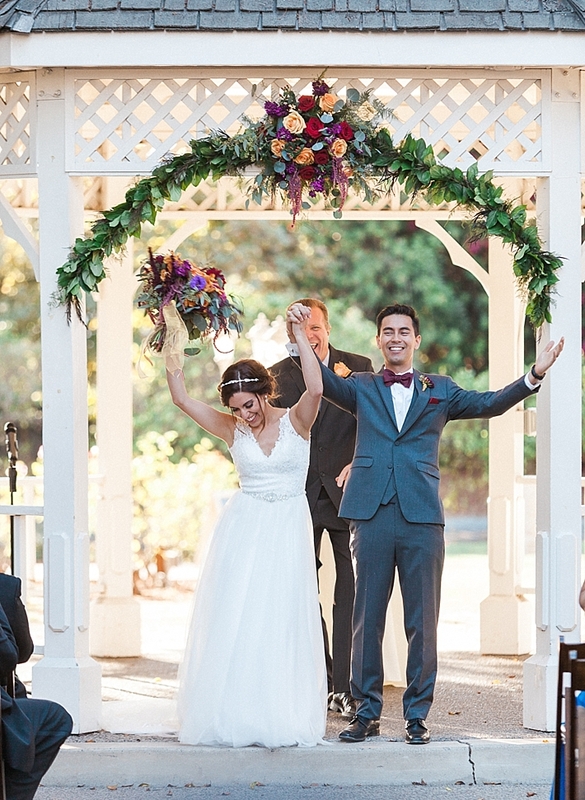 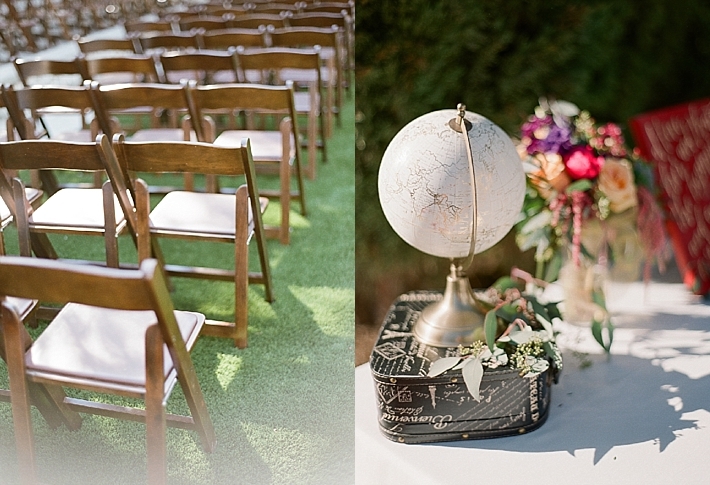 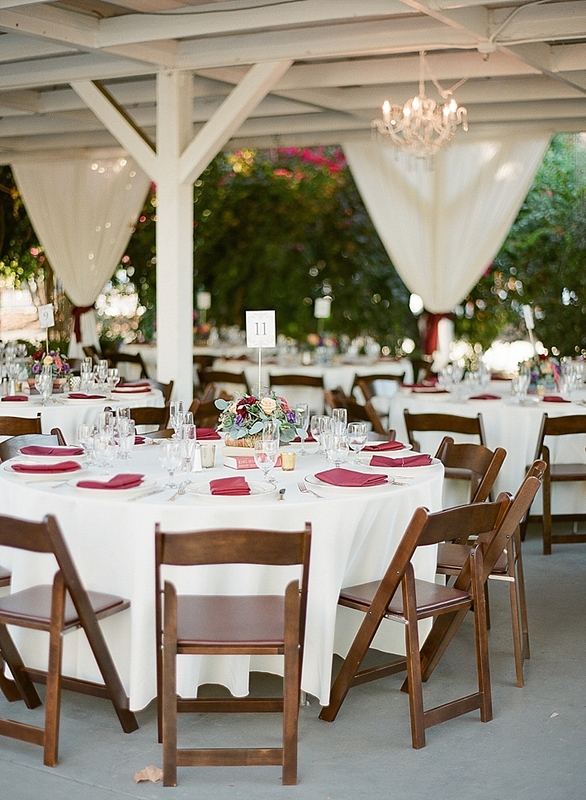 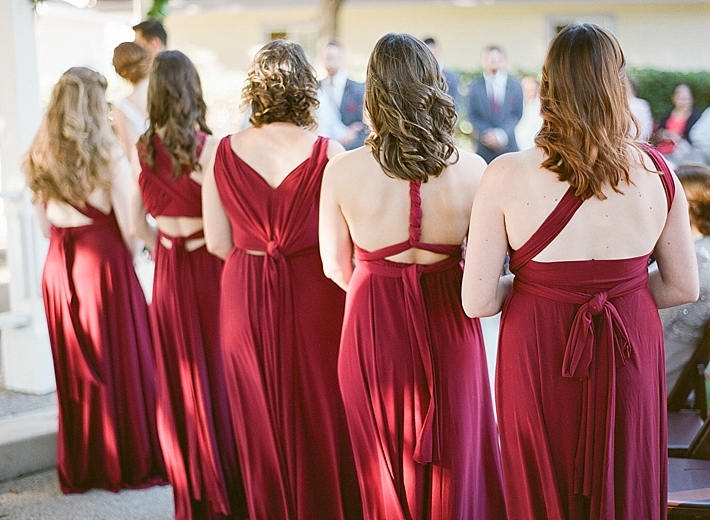 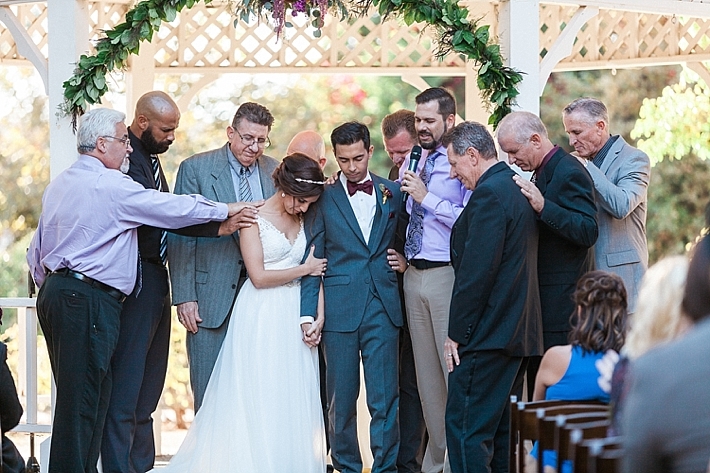 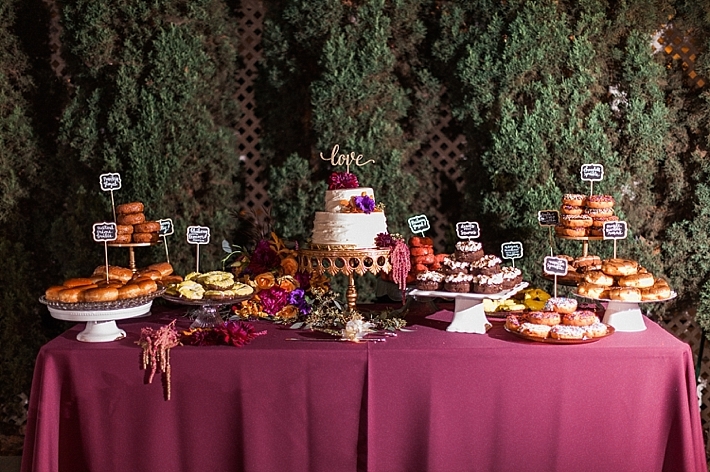 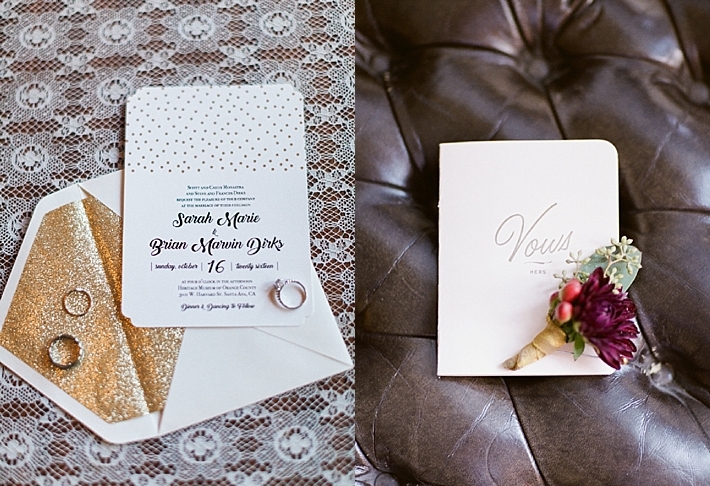 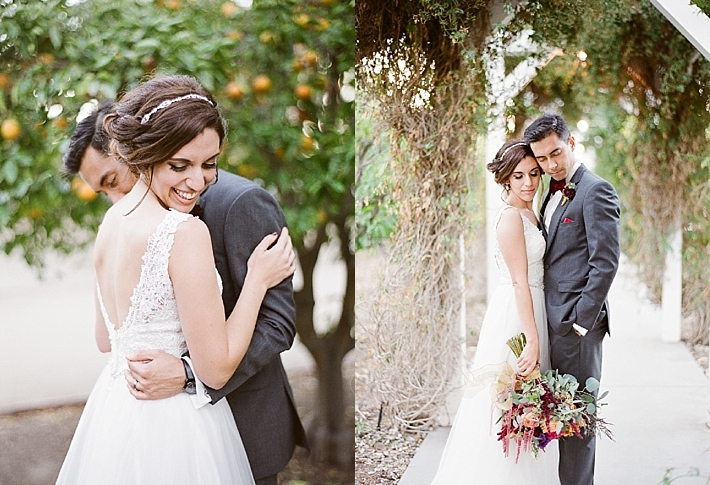 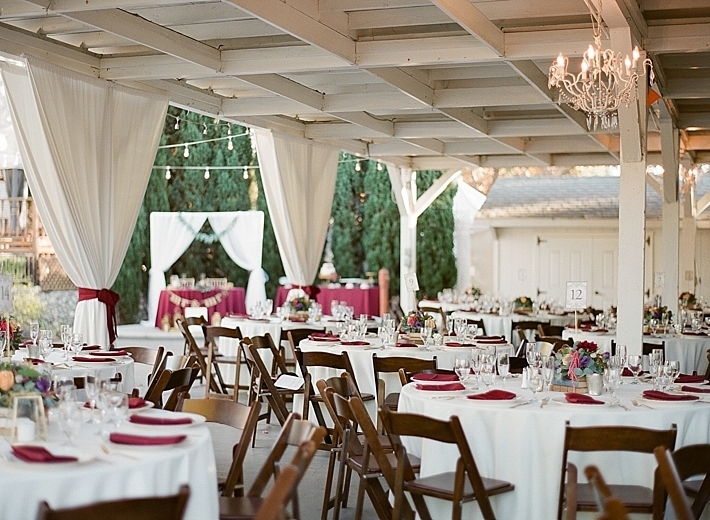 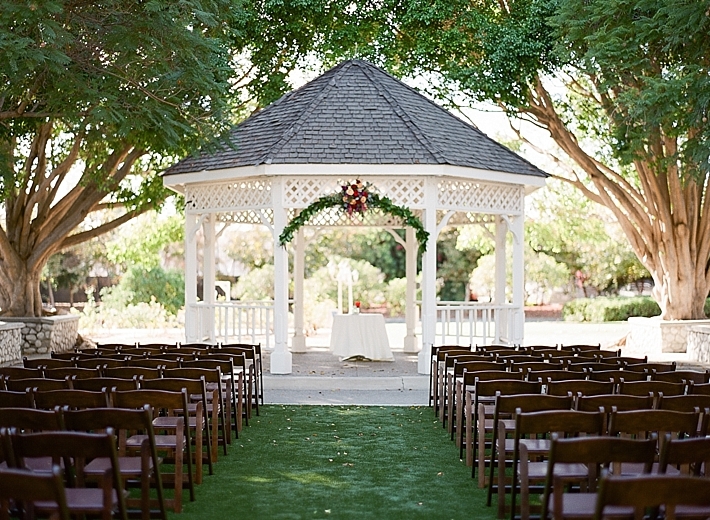 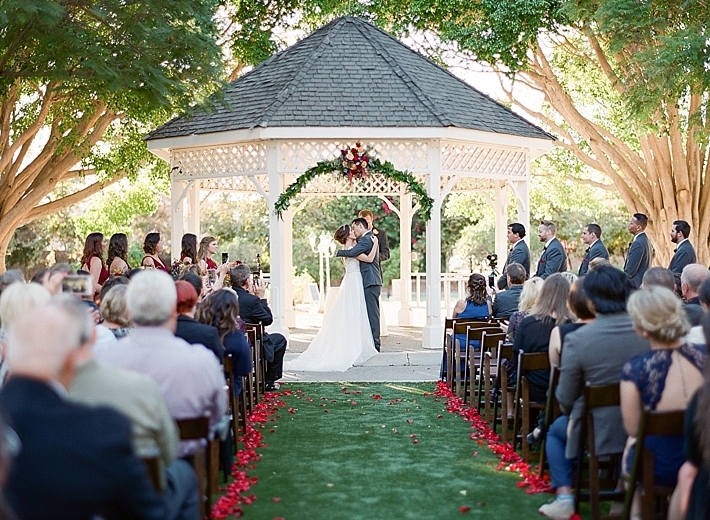 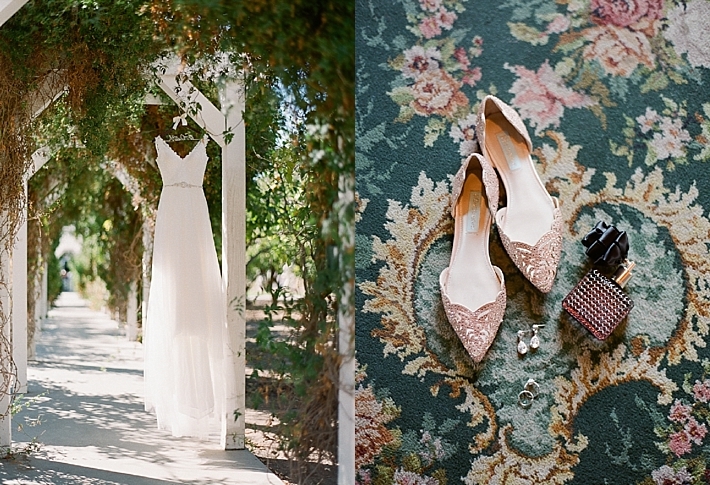 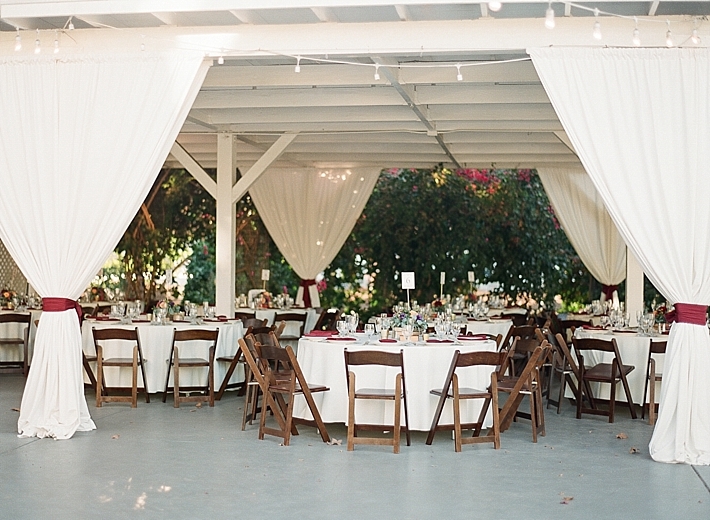 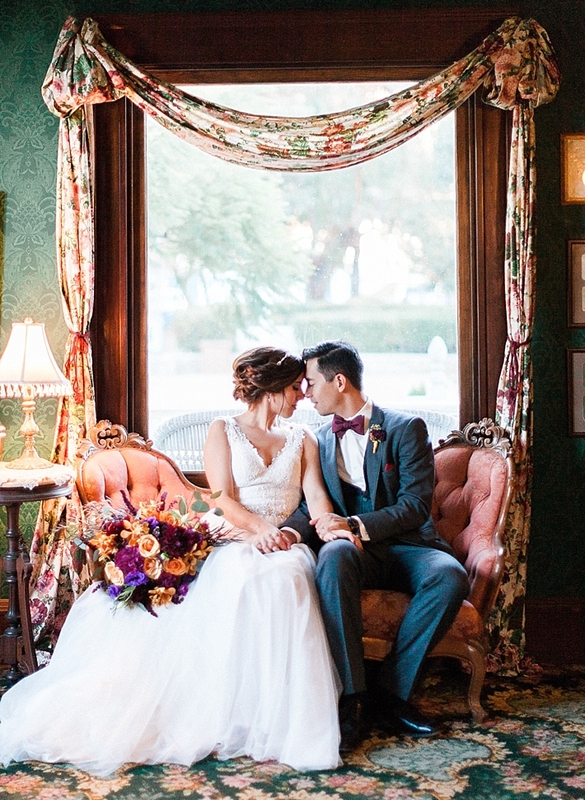 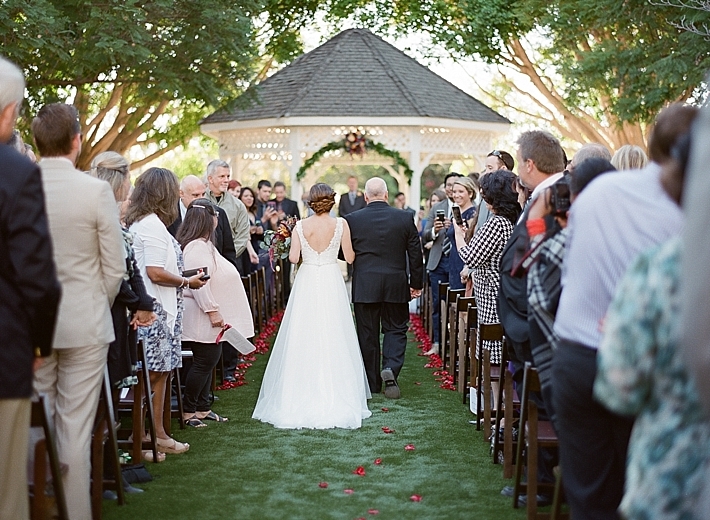 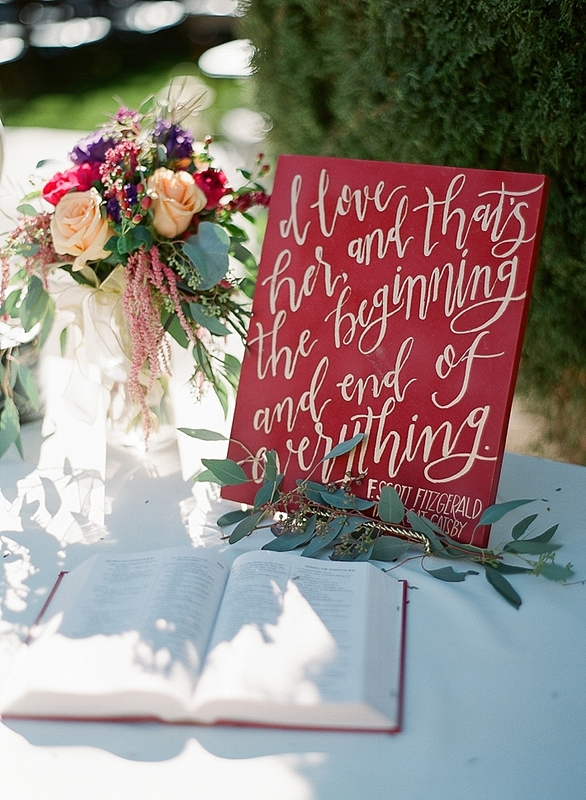 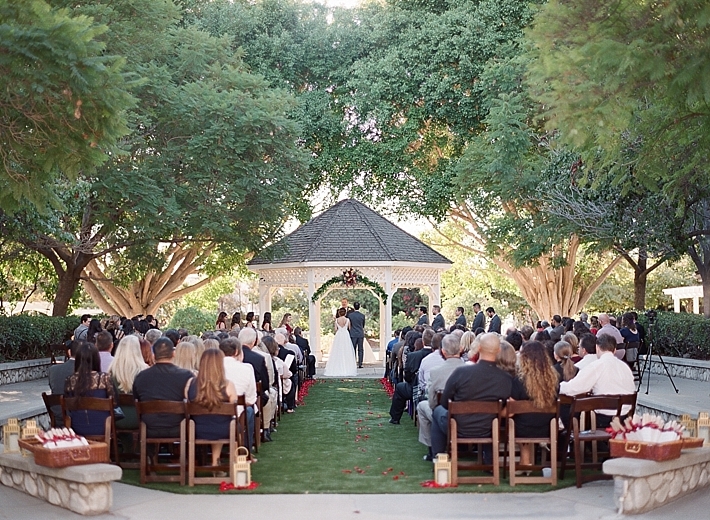 Sarah chose a deep cranberry color to be the base of their wedding day color palette. 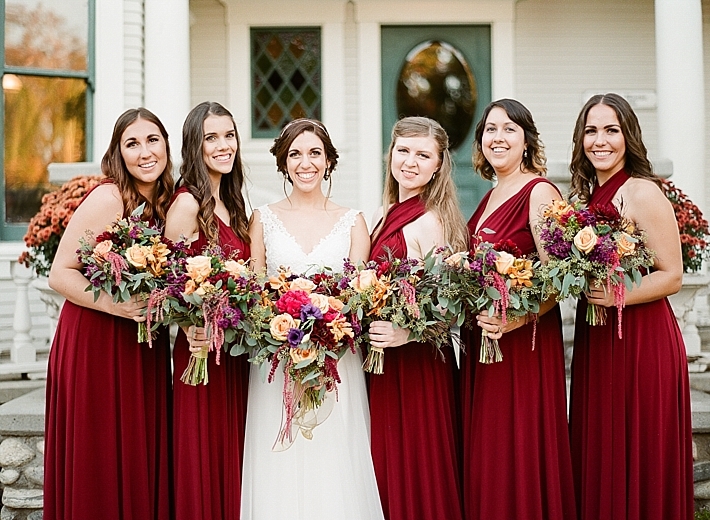 From the bridesmaids dresses to the florals, this rich berry color set a warm and welcoming tone. 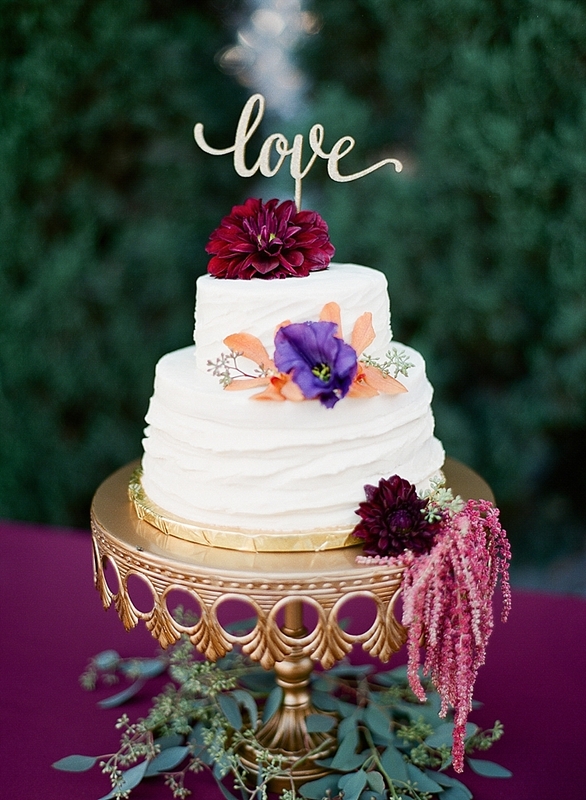 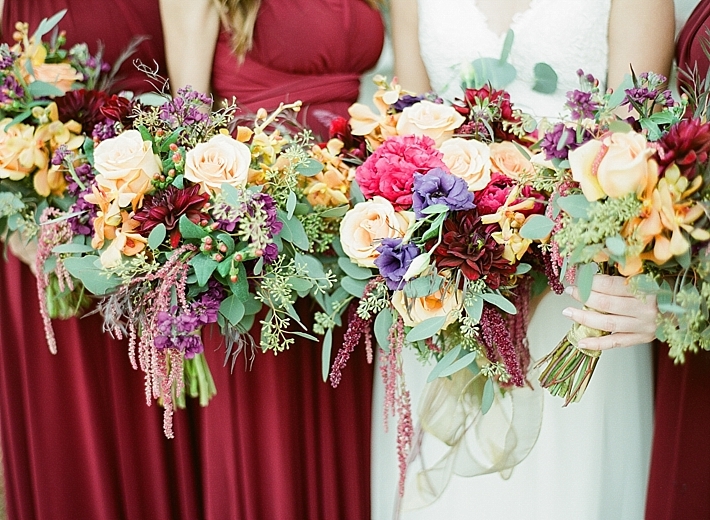 To continue the warm palette, Kat's Creations beautifully incorporated soft oranges, reds, and a hint of purple into the florals. 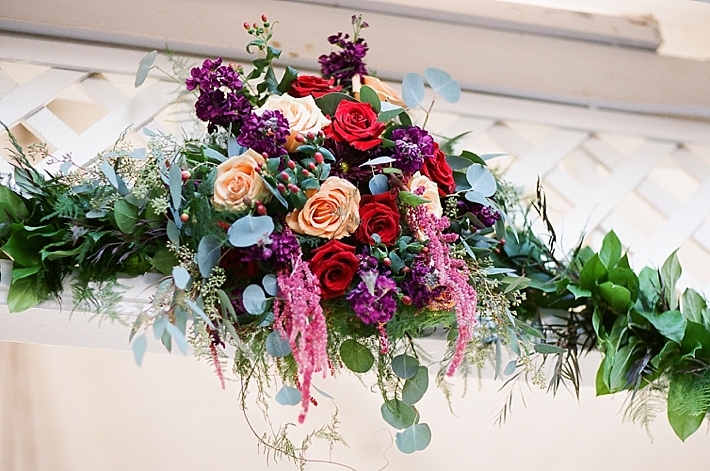 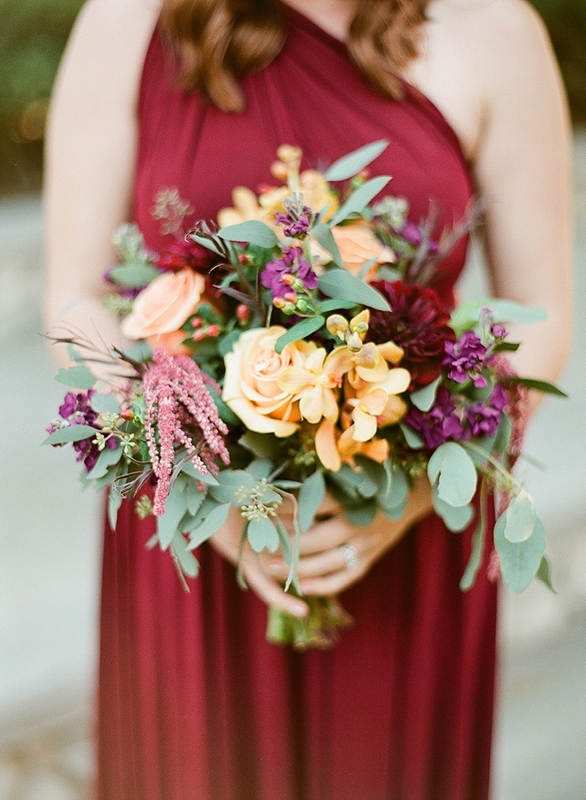 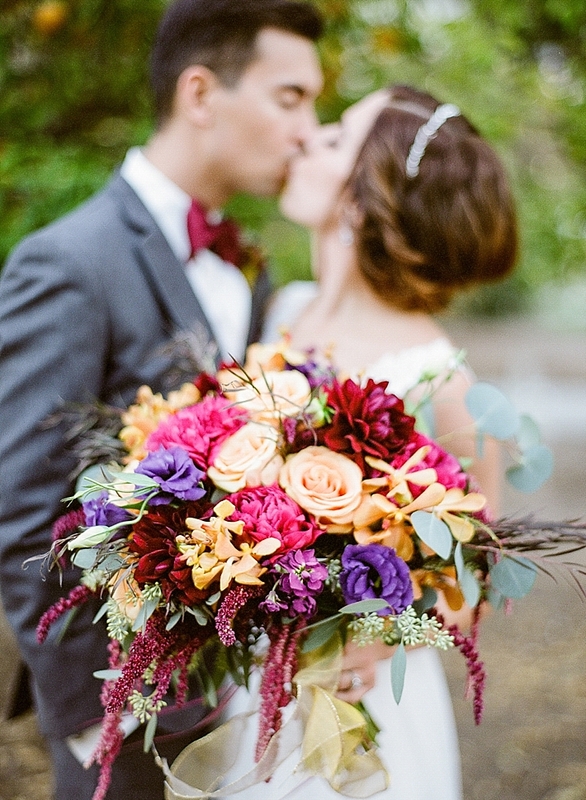 And Sarah's bridal bouquet was overflowing with these gorgeous colors! 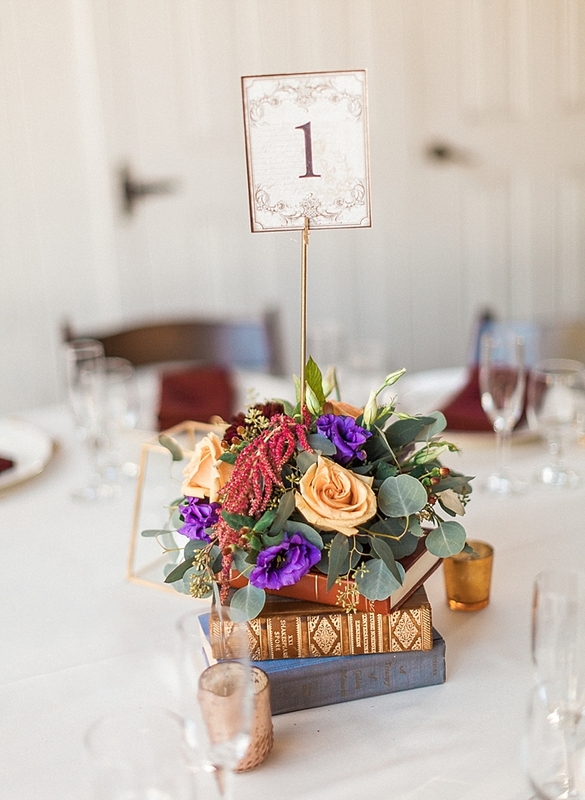 The vintage book centerpieces and touches from Party Pieces by Perry accented the vintage feel of the venue while still remaining understated and elegant. 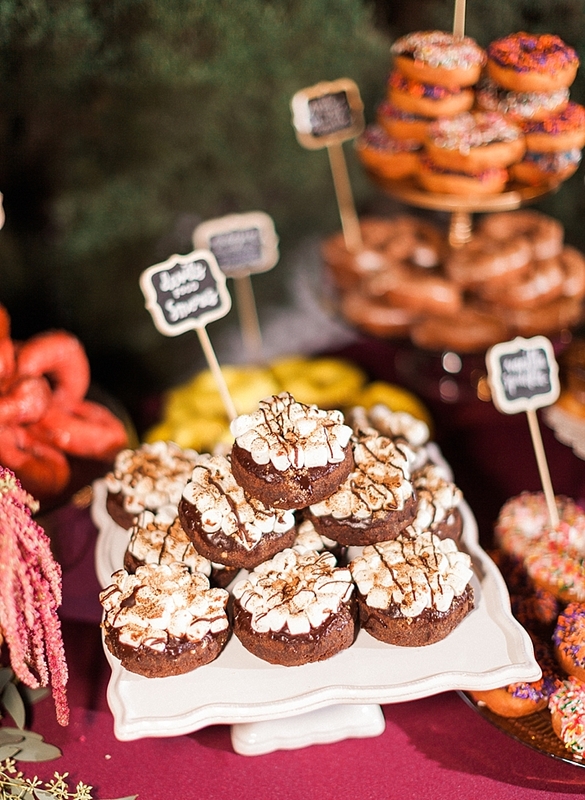 To top it all off, they had a killer donut bar from The Donnutery in Huntington Beach! 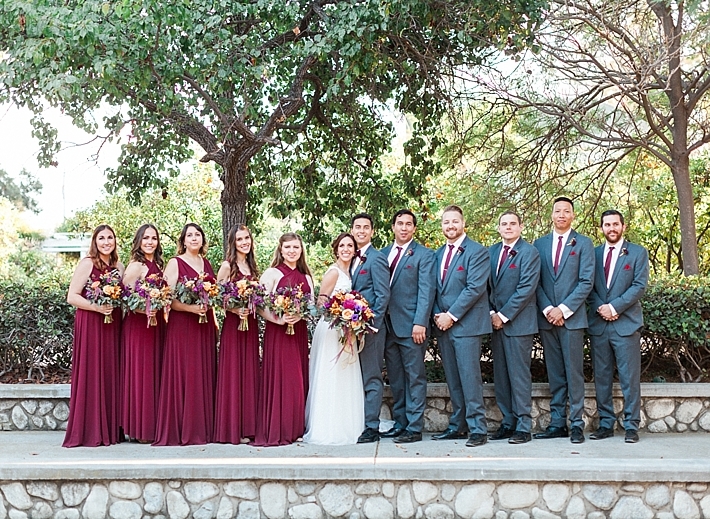 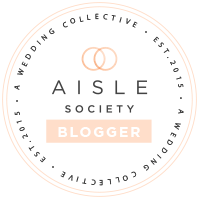 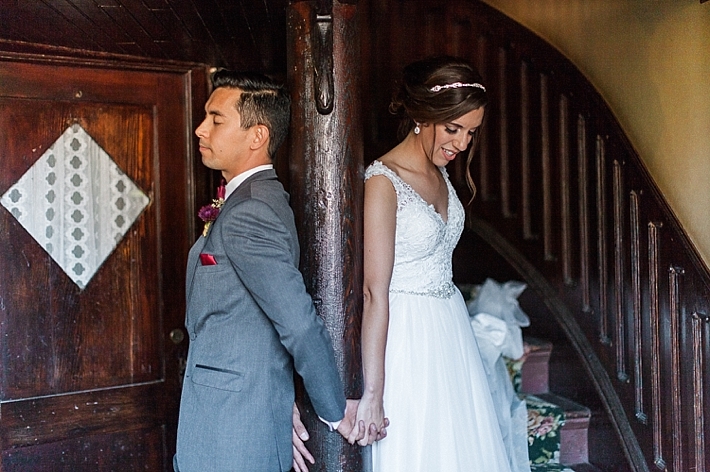 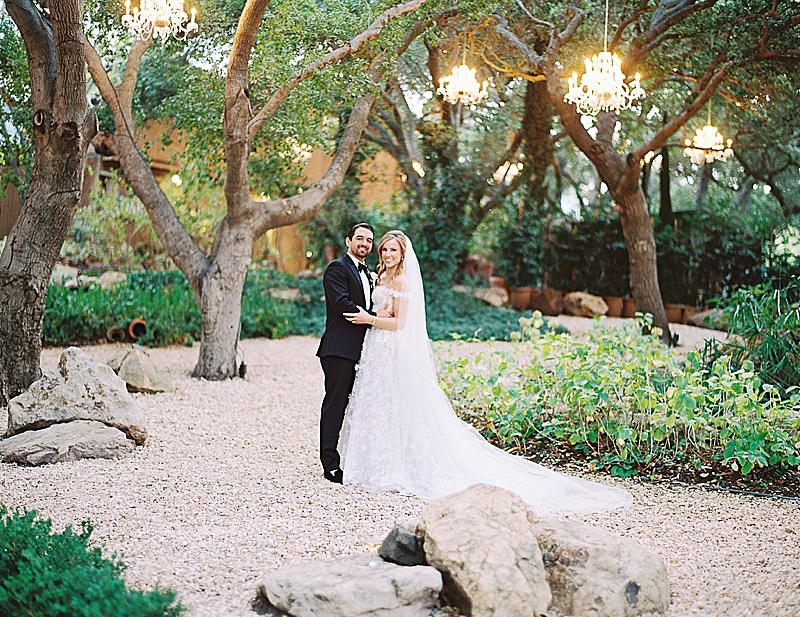 Sarah and Brian's wedding day was altogether filled with the warmth of family and friends and the effortlessness of love that is, not to sound cliche, truly meant to be."